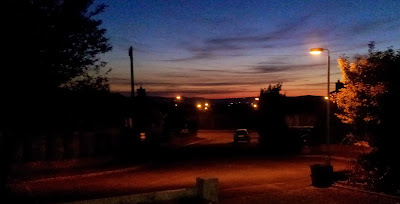 11:20pm, outside my front door on the 6th June 2013. The sun is showing a certain reluctance to set creating quite a beautiful sight to behold. It doesn't seem like that long ago that we were surrounded by 20 inches of snow and the evenings started in the afternoon!